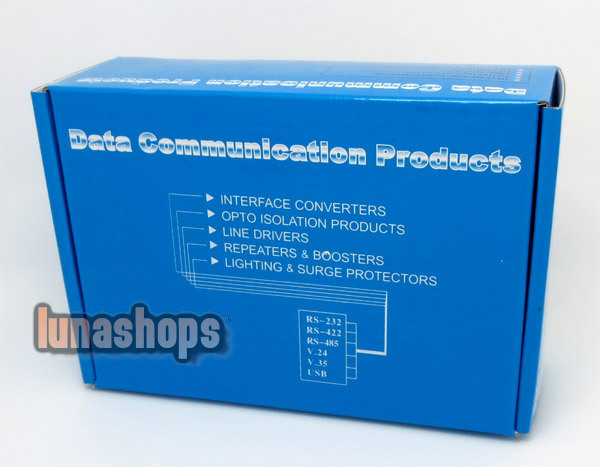 The consists of two Units, a transmitter and a receiver, the transmitter is connected to USB host (PC), and the receiver is connected to USB device, the transmitter and receiver Units are connected together with one CAT5e/6 industry standard cable. 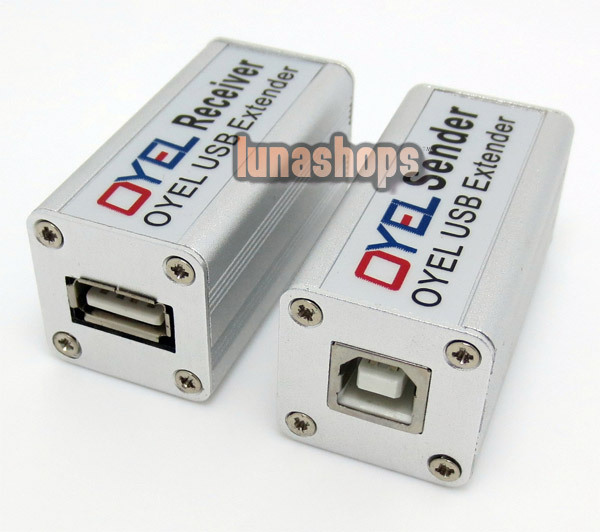 The USB is a short-distance protocol, when the distance is extended, the signal amplitude is lower and the signal delay is longer, both the amplitude and the delay will violate the protocol. 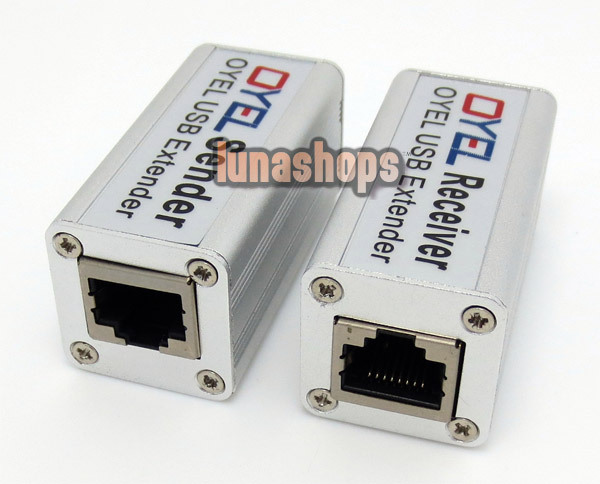 The most commercially available USB extender just increase the signal amplitude but do not process the signal delay, this kind of USB extender will face two major problem. 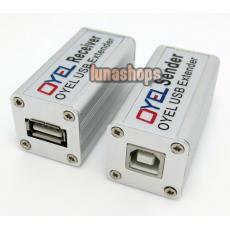 USB unstable, the USB device can not work properly, for example, the file copy failed when using USB flash drive. The distance is short, and does not exceed 165 feet (50 meters), some full-speed USB device will not be recognized when the distance is more than 65 feet (20 meters). Using YouVA's patented technology, the liminate the restrictions on USB long-distance transmission, it extend the full-speed USB up to 230feet (70meters), is fully compatible with all devices that comply with the USB specification, it's a most stable and compatible USB extender. Only two twisted pairs in the four pairs are used, the Ethernet cable can be shared for both LAN and USB extender, or two USB extenders can share one CAT5e/6 cable. The USB port in the receiver can supply 1000mA which is more than the standard 500mA; it can support the high current USB device. USB hub can be connected to the USB port in the receiver. Hello, Is thisproduct plug and play or needs drivers? Also needs a power supply ornot? Thank you! Administrator:Hello, this item come with a cd driver.